The OpenSSL 1.0.1p and 1.0.2d versions released Thursday fix an issue that could be used to bypass certain checks and trick OpenSSL to treat any valid certificates as belonging to certificate authorities. Attackers could exploit this to generate rogue certificates for any website that would be accepted by OpenSSL. "This vulnerability is really only useful to an active attacker, who is already capable of performing a man-in-the-middle (MITM) attack, either locally or upstream from the victim," said Tod Beardsley, security engineering manager at Rapid7, via email. "This limits the feasibility of attacks to actors who are already in a privileged position on one of the hops between the client and the server, or is on the same LAN and can impersonate DNS or gateways." The problem was introduced in OpenSSL versions 1.0.1n and 1.0.2b that were released on June 11 to fix five other security vulnerabilities. Developers and server administrators who did the right thing and updated their OpenSSL versions last month, should do so again immediately. OpenSSL versions 1.0.1o and 1.0.2c that were released on June 12 are also affected. 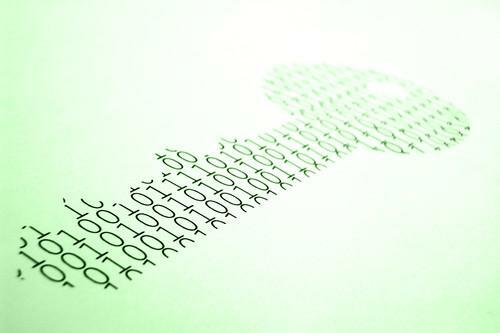 "This issue will impact any application that verifies certificates including SSL/TLS/DTLS clients and SSL/TLS/DTLS servers using client authentication," the OpenSSL Project said in a security advisory published Thursday. An example of servers that validate client certificates for authentication are VPN servers. Fortunately, the four major browsers are not impacted because they don't use OpenSSL for certificate validation. Mozilla Firefox, Apple Safari and Internet Explorer use their own crypto libraries and Google Chrome uses BoringSSL, a Google-maintained fork of OpenSSL. The BoringSSL developers actually discovered this new vulnerability and submitted the patch for it to OpenSSL. The real-world impact is likely not very high. There are desktop and mobile applications that use OpenSSL to encrypt their Internet traffic, as well as servers and Internet-of-Things devices that use it to secure machine-to-machine communications. But even so, their number is small compared to the number of Web browser installations and it's unlikely that many of them use a recent version of OpenSSL that is vulnerable, said Ivan Ristic, director of engineering at security vendor Qualys and creator of SSL Labs. For example, the OpenSSL packages distributed with some Linux distributions, including Red Hat, Debian and Ubuntu are not affected. That's because Linux distributions typically backport security fixes into their packages instead of completely updating them to new versions.